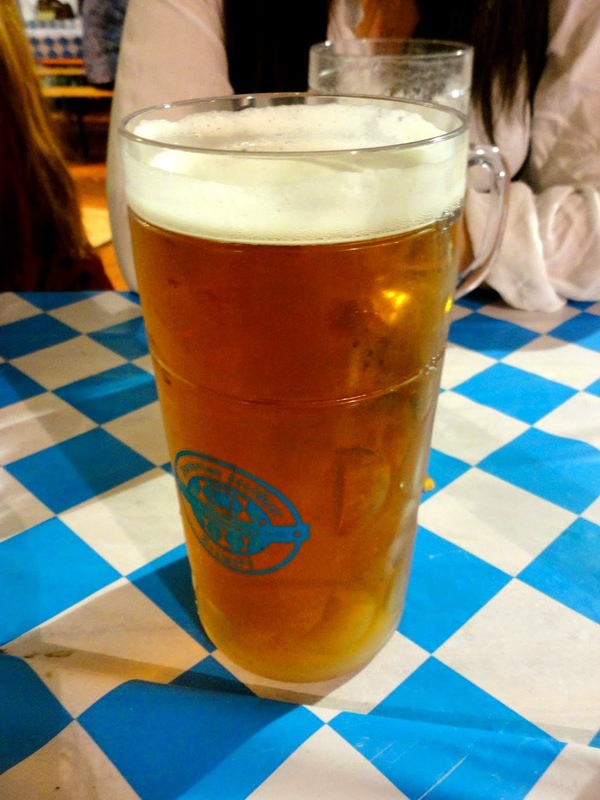 For anyone unfamiliar with Oktoberfest, it’s a beer festival held every year in Germany (in October funnily enough!). 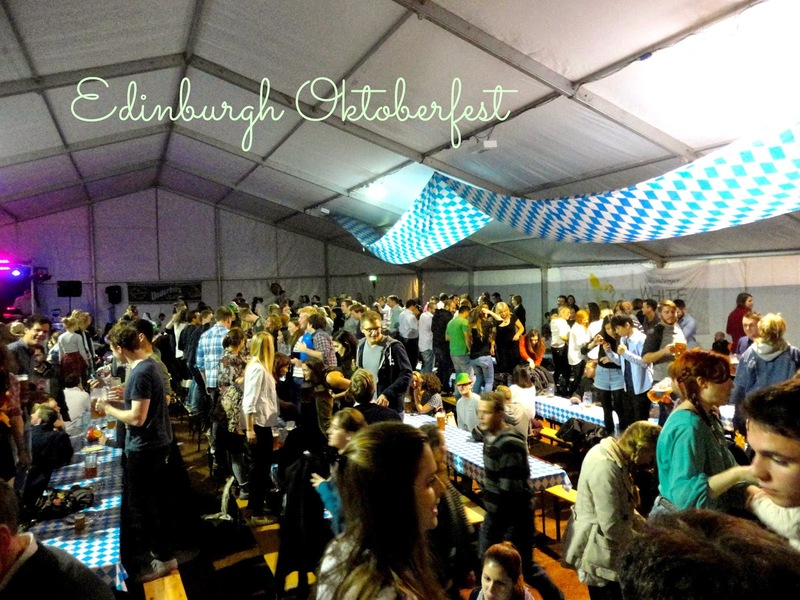 However, it’s growing popularity has led to cities all over the world putting on their own versions of Oktoberfest, so when I discovered that Edinburgh was having one this year, my friends and I couldn’t resist! Is there such a thing as too much beer? Much of the festival imitated what you’d expect to find at the German version - held in a huge tent, sat at long benches, German music blaring and beer steins almost too large to lift! 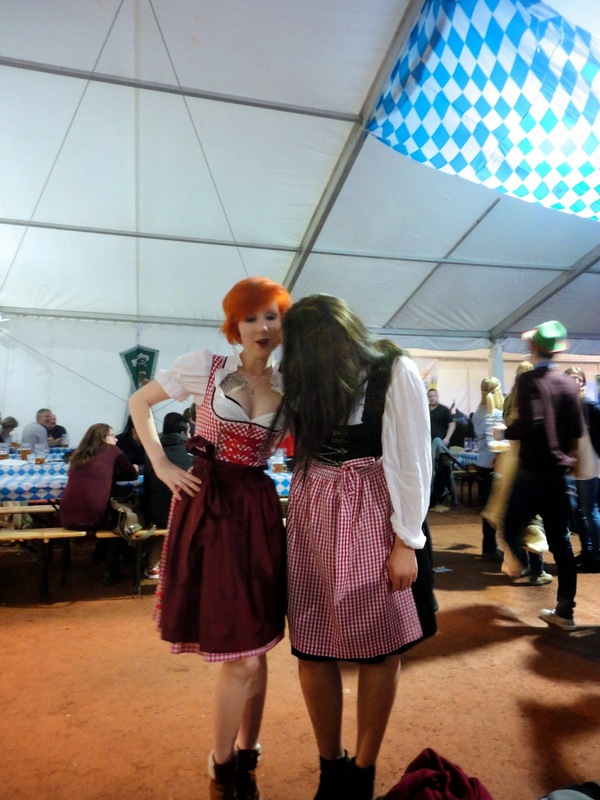 All the staff were also clad in German outfits, of lederhosen and dirndls, and two of my friends own dirndls, so of course, couldn’t turn down an opportunity to wear them again. There were also various souvenirs available, so it was very funny to see others there wearing feathered Tyrolean hats and blonde pigtail wigs! Our tickets included food and beer, so what else would you eat at a German festival besides sausages? And then, naturally, we drank copious amounts of beer. Oktoberfest had never appealed to much in the past, as I was never much of a fan of beer, but I’ve recently developed liking for it, which was put to good use that night! The standard size available was 1.5 pt, but we opted to go for the full 2 pt, because why not? As the night wore on and the tent’s occupants got boozier, dancing on the benches commenced, which seems to be compulsory at all Oktoberfests. There was a mix of German and contemporary music, and there’s nothing quite like a tent full of people dancing the YMCA atop the benches. Cheers! - or as the Germans say, Prost! Overall, it was a good night, and we all enjoyed ourselves. However, I would be ready to bet that the real Oktoberfest celebrations in Germany would be even better, being the original and authentic version. This gave me a taster of the festival, but now I think I’ll have to experience the real thing one day!